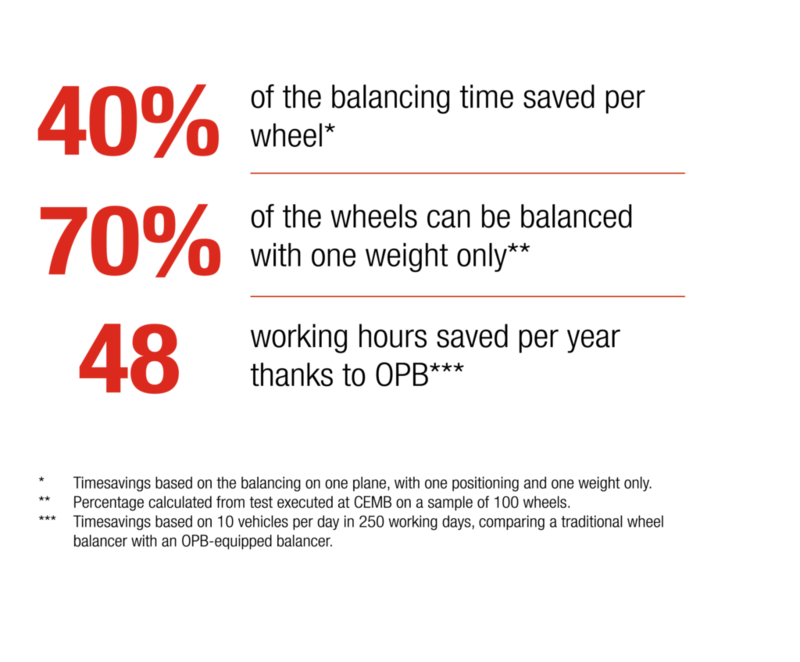 OPB is the innovative CEMB program that enables a 40% balancing time saving. Static unbalance is the source of most vibrations felt by the driver. On the current wheel balancers, even if it is possible to balance only the static, it is very difficult not to increase the residual dynamic value, with the consequent risk to exceed the tolerance limits and increase the vibrations felt when driving. The above leads to an inaccurate balance with a loss of time and counterweights. Today CEMB revolutionizes the technique, again. 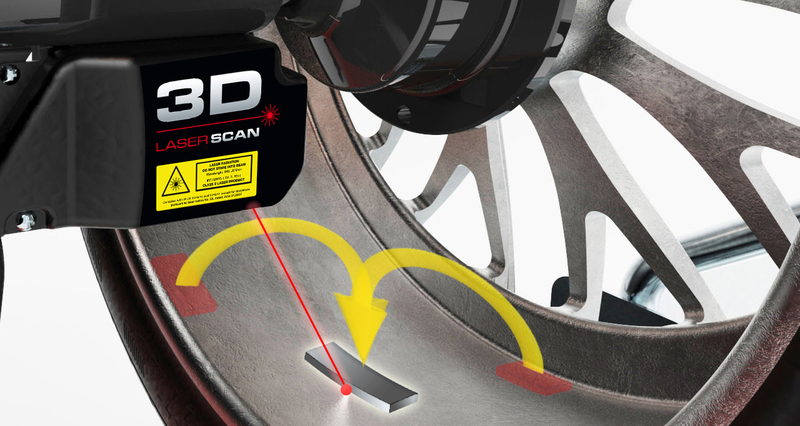 Thanks to the new OPB Software (One Plane Balancing) and to the most recent technical innovations, such as Laser Spotter and 3D Laser Scan, the machine proposes a single ideal correction plane, indicating the exact point inside the rim where it is possible to balance the wheel minimizing both static and dynamic imbalance, using only one counterweight and thus enabling a great savings in time. OPB program is activated automatically at the end of the spin, when the machine detects that it is possible to correct with one weight.